Flickr is the main place where I post new photos and they have now been viewed more than 6 million times. Although I've been on Flickr since October 2007, it's only recently that things have taken off and my photos there are now getting approximately 300,000 views per month with some individual photos exceeding 100,000 views in the first 24 hours of going online. 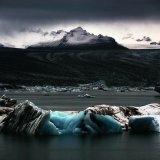 What is meant by fine art photography? 24/06/15 - I've heard this week that one of my photos from Meteora in Greece has won a UK Telegraph newspaper photo competition called 'The Big Picture'. The photo is published on their website now and will be in the travel section of the newspaper on Saturday 27th June.The competition sponsors are Nikon and there's a very nice prize of a new Nikon D3300 camera! I've been active on the well known photography website Flickr since October 2007 - my photos there have now received more than 2,000,000 views. I was approached recently by the UK weekly magazine "Amateur Photographer" to write a 5 page feature for them on the subject of mono landscape photography. Some of my black and white architectural photos are published in the14th June 2014 edition of "Amateur Photographer" magazine here in the UK. 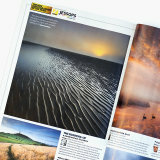 There's a double page spread of my mono landscape photos in this months edition of "What Digital Camera" magazine. The magazine contacted me and asked if I'd talk a little about the Nikon D800 that I use - the things I like about it and if there's anything I think could be improved. The annual 'IPA Lucie' International Photography Awards is probably the most important global competition in the contemporary world of photography. I entered 6 photos to the 2013 competition and heard recently that all 6 were awarded "Honorable Mentions". The categories included Fine Art landscape and Architecture. In addition my photo "Power Station at Dusk" was awarded 3rd prize from amongst all the United Kingdom entries. 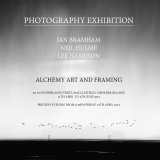 From 17th October to 30th November 2013 I have a large selection of limited edition prints of my square-crop b&w photos on exhibit and for sale at the Paperboat Gallery, 5 Whitby Road, Ellesmere Port, Cheshire. If you live in the area the Paperboat Gallery is easy to find and is only a few minutes drive from the popular Cheshire Oaks Shopping Outlet. I was delighted to hear recently that two of my photos have been announced as recepients of a 'Juror Award of Merit' in the Cityscape/Architecture category of the prestigious Paris-based "Grand Prix de la Découverte" fine art photography competition for 2013. 5th February 2013 - I had an email from Sony to let me know that one of my photos from Iceland has been commended in this years 'Sony World Photography Awards'. "I am delighted to announce that your image has been commended in the top 50 images in the Travel Category in the Open Competition of the 2013 Sony World Photography Awards. 29th October 2012 - I heard recently that 3 of my 5 shortlisted photos "have been Commended by the judges and have won a place in the Awards book. In addition, one (Southport) will appear as a print & the other two as part of a slideshow projection at the National Theatre exhibition." 3rd October 2012 - The biggest landscape photography competition in the UK is run by the famous photographer Charlie Waite and is called "Take A View"
I had an email from Nikon back in June to let me know that one of my photos had been selected for an exhibition of photographs at the prestigious Getty Images Gallery, Eastcastle Street which is in central London. My first book is now on sale. November 2011 - 'Shadows & Light' is my first book. 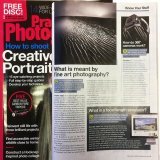 It includes 74 of my photos and has an introduction by Andrew James, the Editor-in-chief of Practical Photography magazine. June 2011 - One of my photos taken on the beach at sunset in Blackpool was shortlisted by Digital Photo and Practical Photography magazines for the landscape round of their 2011 'Photographer of the Year' competition. 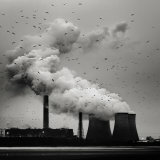 April 2010 - I was delighted when one of my B&W power station photos won the landscape category of Practical Photography and Digital Photo magazines 2010 "Photographer of the Year" competition!